UC research aims to understand berries' water needs. 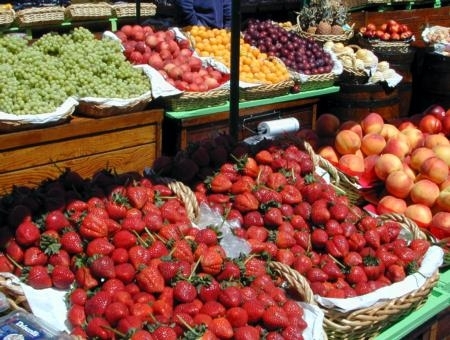 Will berries taste like colored Styrofoam if water supplies for farmers are cut? Or will a reduction in irrigation only intensify their flavor? 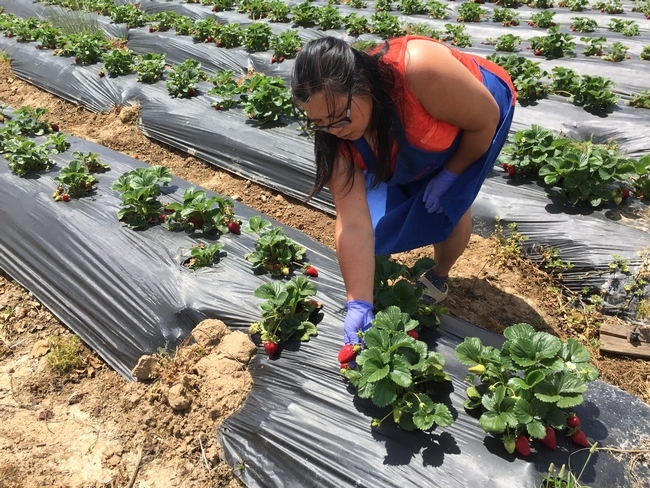 To find out, farm advisors around the state are comparing strawberries, blueberries and blackberries grown under four irrigation regimes – one that reflects the normal practice, one half the normal amount of water, one 75 percent of normal, and one that is 25 percent more than normal. 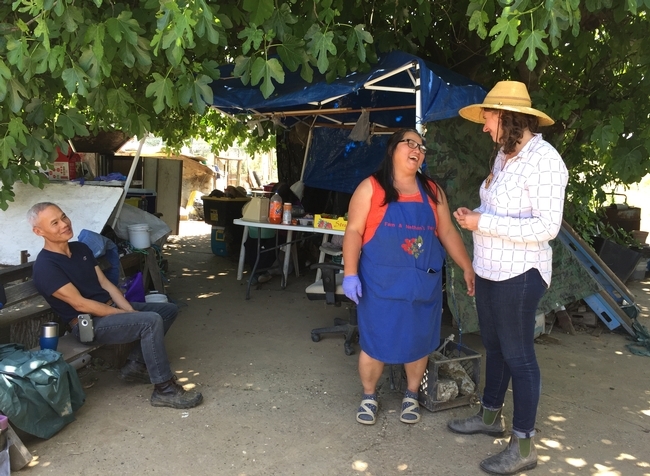 The studies are being conducted in Santa Clara, San Luis Obispo, San Diego and Fresno counties. 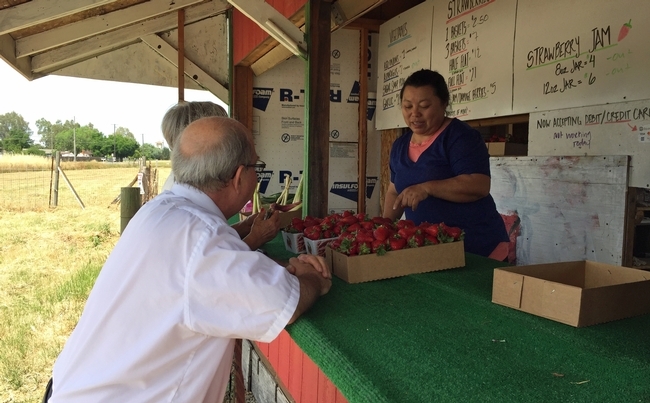 Molinar recently brought samples of strawberries grown at the UC Kearney Agricultural Research and Extension Center in Parlier to the Vineyard Farmers Market in Fresno and invited patrons to share their preferences. 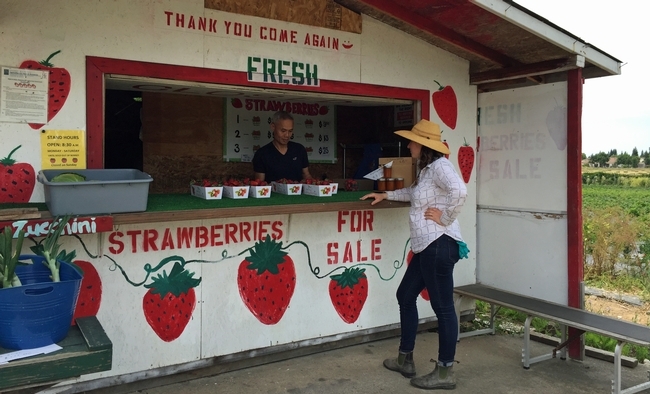 Strawberry tasters were asked to evaluate the fruits’ appearance, flavor and texture. The advisors will aggregate information from taste testing done on berries from all the research sites. The research will go beyond consumers’ preferences. 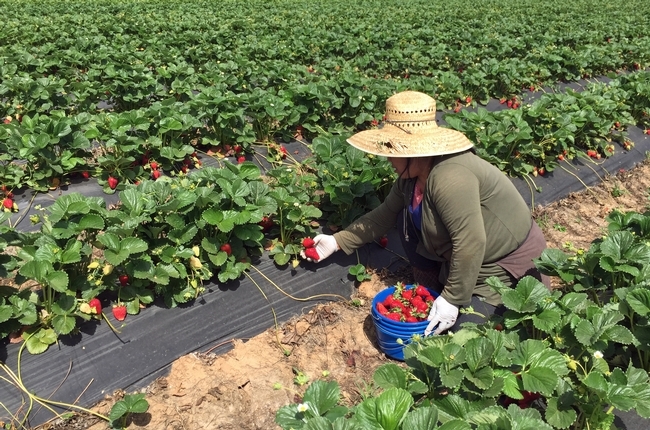 Beth Mitcham, UCCE specialist in the Department of Plant Sciences at UC Davis, will evaluate the fruit grown under different irrigation regimes in the laboratory. 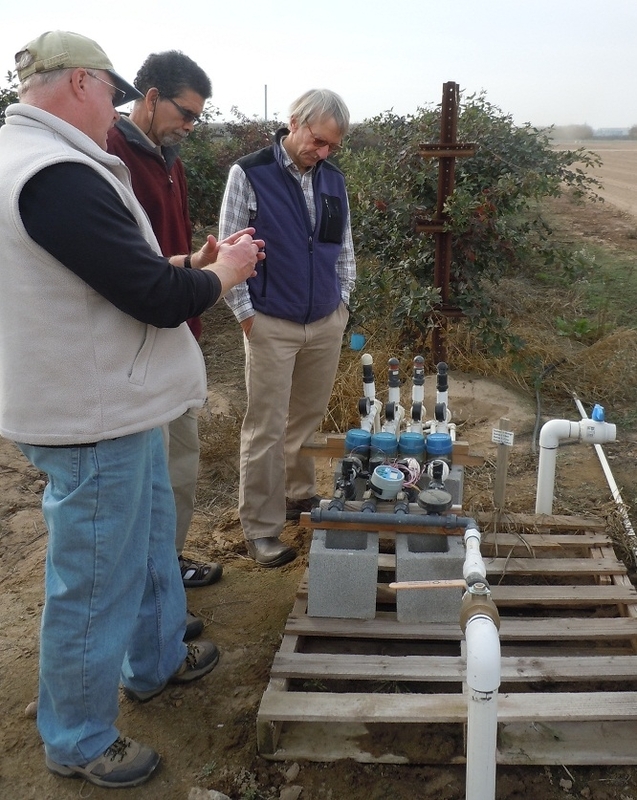 Mitcham’s research will determine the amount of sugar, the sugar-acid ratio and the amount of antioxidants in the fruit and how these are affected by increasing or decreasing the usual amount of irrigation water. 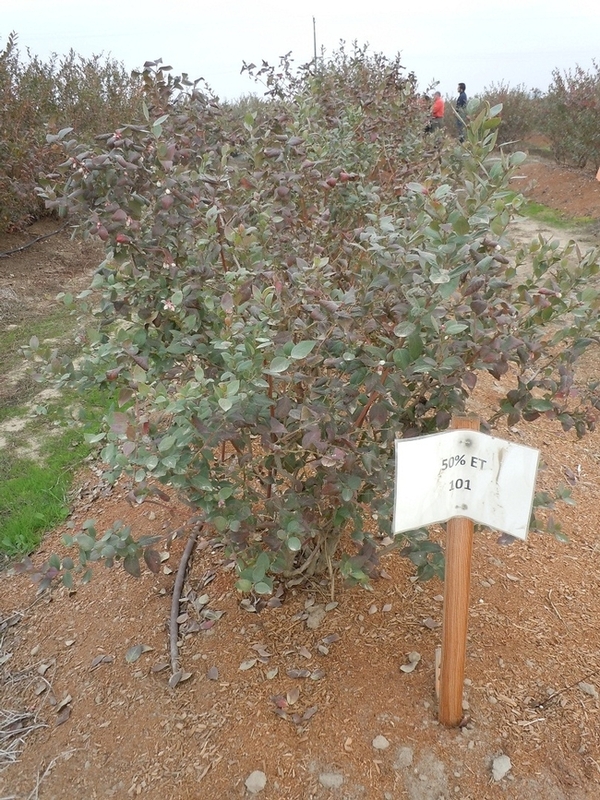 The study is funded with a specialty crops grant from the California Department of Food and Agriculture awarded to the small farm program under the direction of Shermain Hardesty, UC Cooperative Extension specialist in the Department of Agricultural and Resource Economics at UC Davis. Twenty minutes of hail on Easter Sunday means no melons for July 4th at Pacific Star Garden's farmers' market stall. Hail comes sometimes, suddenly and randomly, in February or March or April. It can hit one farm but not the one down the road. This time the sudden hail hit Woodland farmers Robert and Debbie Ramming, owners of 40-acre Pacific Star Gardens, on March 31, almost as if Mother Nature couldn't wait for April Fool's day. 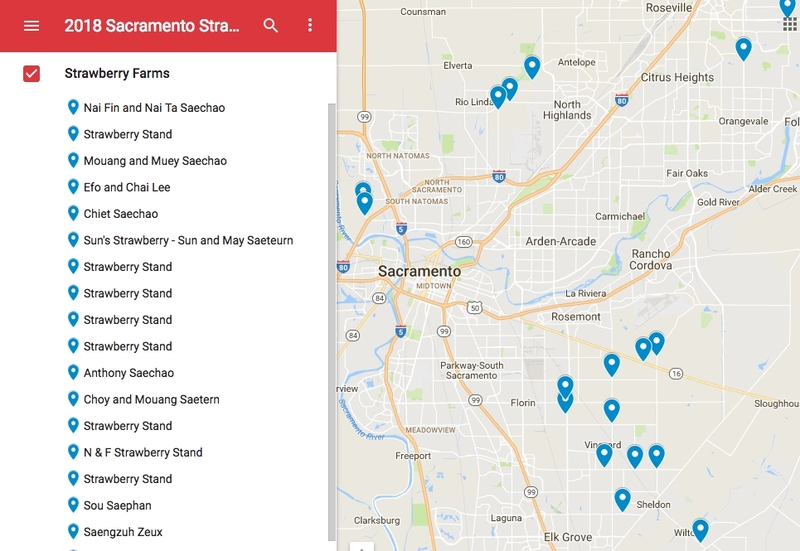 Mid-April, in most years, is a good time to visit strawberry farms in the Sacramento Valley for the earliest fresh juicy berries, but 20 minutes of hail put off the start of U-pick strawberry season at Pacific Star Gardens until May. 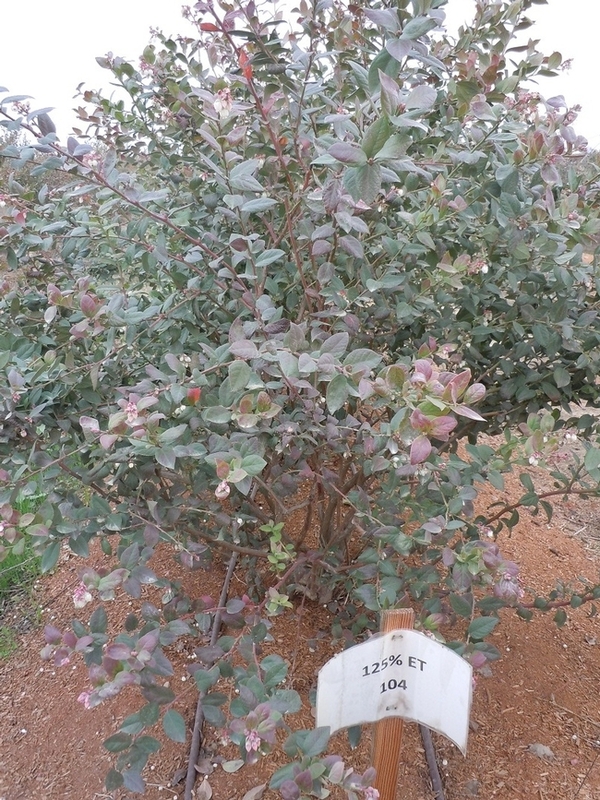 The plants will survive, but damage to the berries and other crops will mean a loss of $5,000 to $10,000 for the Rammings - a big hit for a small-scale farm. The hail was huge, pea size to marble size, and it came in at a 45 degree angle, hurting Robert's head through his cap. 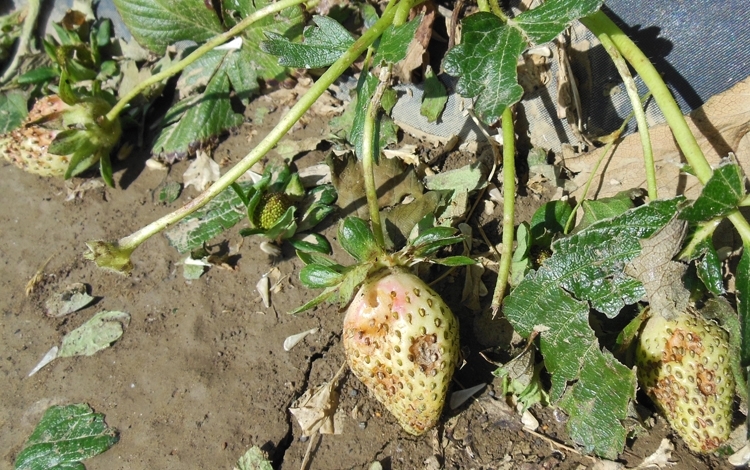 It destroyed the field of strawberries just starting to turn pink and the newly planted cantaloupes and other melons that would have ripened in early July. 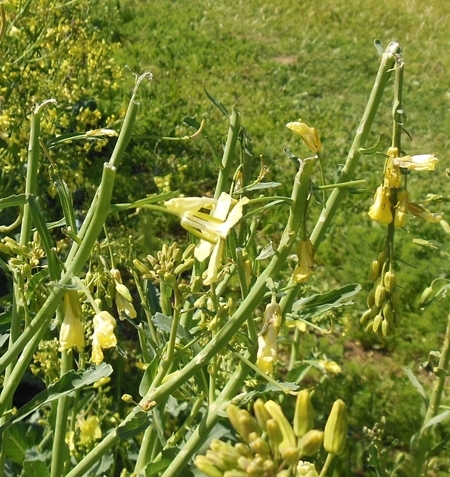 Hail also knocked down plants and broke off heads full of flowers in the field of collards planted for seed harvest. Growing seeds for an organic seed company is new this year for the Rammings, so they started with a relatively small patch and will probably only lose a few thousand dollars worth of seed. Twenty minutes was all it took. Pacific Star Gardens will recover. 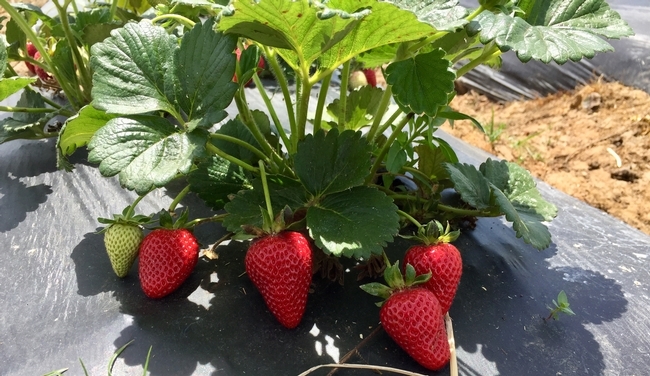 The next bloom of strawberries will be ripe and ready for U-pick in early May, with apricots and blackberries soon after. 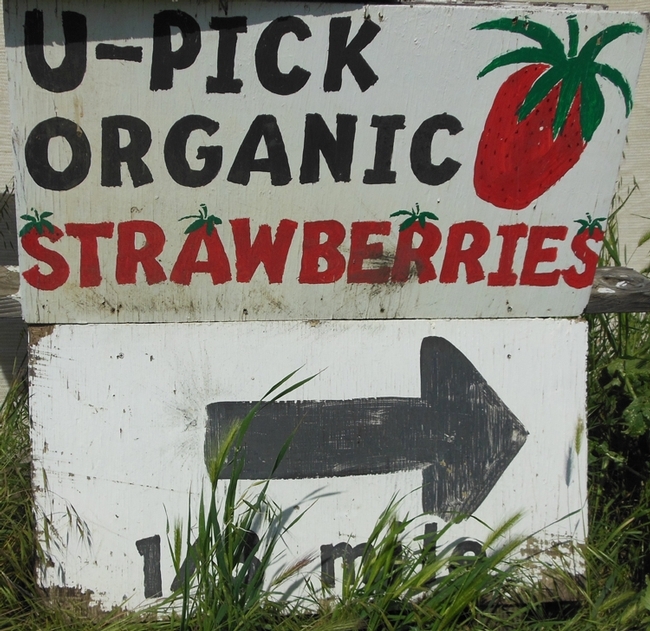 The farm is between Davis and Woodland, just off Highway 113. 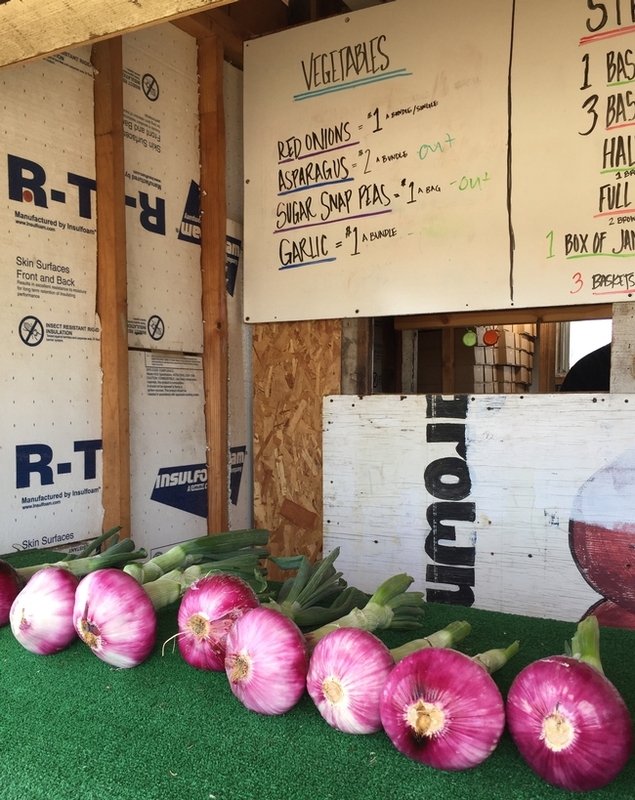 Check the Facebook page for what's ripe and when the farm is open for picking or purchase at the farm stand. This is a farm story. This is a story of your food. It might make you think a little differently about strawberries, or about hail, or about the farmers at your farmers' market. Most farmers have stories to tell, and most would like the rest of us to understand a little bit about what it takes to grow crops and raise animals. 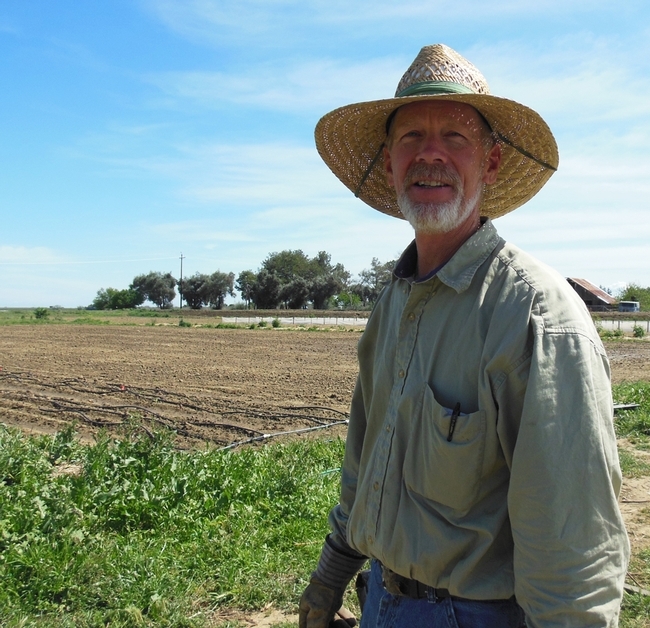 We are lucky to have many opportunities to learn about and experience California farms and ranches. 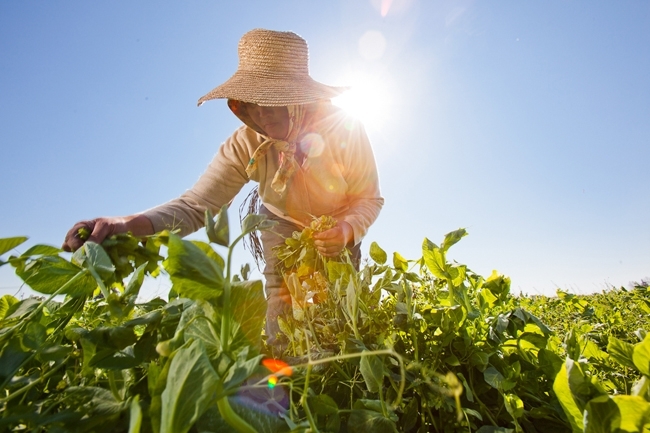 UC is also partnering with the California Department of Food and Agriculture (CDFA) to help Californians explore California farms through a new page on the CDFA website, Discover California Farms. This one-stop portal to agricultural adventure helps visitors find a farm or ranch to visit, locate their closest farmers' market, find a community supported agriculture (CSA) farm that delivers weekly boxes of produce, learn about farm trails, fairs and festivals, or watch videos telling farmers' stories. 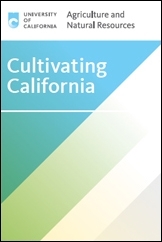 California farmers and ranchers invite you to visit,taste, learn and enjoy!